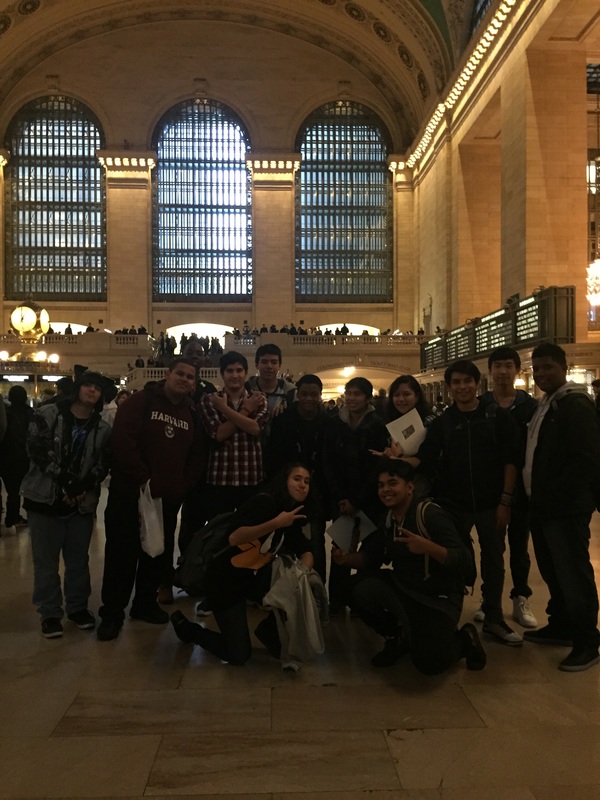 On October 28th, a group of students attended a tour at one of New York City’s most prominent landmark, The Grand Central Terminal, which is located on 42nd street and Park avenue. The tour was hosted by the Worlds Monument Fund and guided by Frank Prial from Beyer Blinder Belle Architects & planners LLP, who has been working on the terminal’s restoration and redesign efforts for over two decades. Frank has been giving tour guides to WHSAD students for the past few years, highlighting the terminals architectural features and its major contributions to the growth of New York City as a transportation hub. The first part of the tour consisted of historical facts along with an introduction on the restoration techniques applied to the magnificent main concourse and its celestial arched ceiling. Following, was the former high ceiling-ed waiting room located on the north part of the station, where Frank explained and answered several questions regarding its current use. The tour was then taken to the lower level concourse, where the students had the opportunity to experience the acoustical phenomenon of the whispering gallery archway and the traffic flow of the food courts. Next, Frank led the students into service bridge walkway that exists between the two main arched glass curtain walls that allow light to enter the main concourse. The walkway encouraged the students to take close up photographs of the arched ceiling and an overall plan view of the concourse.Towards the end of the tour the students were fascinated by the history and the Beaux-Art architecture of the Grand Central Terminal.